Last year when I was 3 months pregnant, My partner Russ and I went on an adventure to the proposed site of the Rosemont Mine not far from Tucson. We were able to take a free tour hosted by none other than the Augusta Resource Corporation, the folks who have vested interest in harvesting the mountains resources. They bought an old ranch house in the Rosemont area and turned it into a roadside attraction of sorts, a center for education on what exactly they plan to do. So we got our free coffee, water bottles and crunchy nuts and sat down for an extended lecture on the plans and proposed procedures in the eminent future for the Santa Ritas. The man speaking to us was a friendly cowboy in a large hat who told it strait with graphs and fact charts. We sat for a hour while words were spun by this highly knowledgeable educated white man. He went on about the history of mining in the area, the environmental impact of the mine, and land and water use stats. 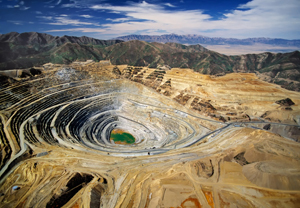 All the while conveying to the group how green this mine would be in comparison with other copper mines in Arizona. Then he shuffled us tour takers into a big white van and we went to see the proposed site. Winding through the valley with mountains rising on either side we passed waving agave stalks on highway Az-83. We then turned onto an old maintained forest road and passed remnants of decrepit ranch settlements, an abandoned late sixties intentional community, arroyos, dry river beds and forests of mesquite trees which scraped against the van as we bumped along in the low lands. As the van made its way, I focused on the scenery so I wouldn’t lose my nuts to first trimester nausea and I vaguely heard the man with the hat as he droned on about the company he worked for and their sweeping plan to dive machines into the land for the riches that lie inside. We arrived at an open area in which you could best view the plans and the information that we were given earlier in the graphs, instead of drawings on paper what we saw was the land. The mountain over there pointed the cowboy tour guide, would be slowly and systematically leveled in a 21 year period. The valley beside the mountain, would hold waste rock and dry tailings (tailing are the guts of the mountain mixed with toxic chemicals). “Where you are standing,” he said,”will be the exact spot where the tailings will be piled.” He continued for some time to wave his arms around point out the specifics of the mountains demise, briefly mentioning Hokokom cultural sites, the seasonally flowing river beds and he did once or twice mention the newly discovered endangered orchid with more than a hint of annoyance in his voice. The wind was picking up, one of those desert winds that fiercely makes its presence known, and blew a big gust almost knocking off his hat and although he kept on talking I was done listening. I walked off and sat down on the ground and was bedazzled by glistening rocks. It seemed like every rock was imbedded with shine. I gathered some and said a prayer and listened to the sound of the wind and a far away cry of a distant bird. This land, impregnated with treasure sought after by business and progress. This mountain so full of ancient wisdom that is not even understood in language. This mountain which is home to countless plant and animal species, countless springs and water sources, countless burials of ancient peoples would soon be destroyed by a corporation from Canada. All that stands in the way now are a few more approvals and permits. I went home that day in sadness and wrote a poem for the Mountain I would like to share. May we all find what we are looking for with less destruction, less consumption and more compassion for the earth and all her creatures. 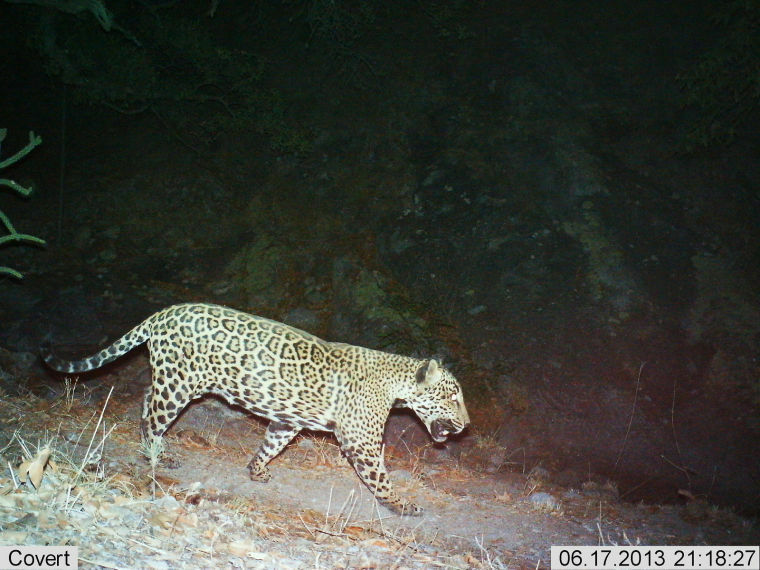 This lone male jaguar, the only known jaguar in the United States, roams the Santa Rita Mountains and has been spotted on game cameras near the proposed mine site. Once the digging starts it will not stop for 21 years, at least. The digging will be dug until a mile is gone down deep and a mile is wide. The hole will always be there and nothing will live there ever again. The water will pool in that mile trench and the water from miles around will flow into that hole and it will draw the water from the surrounding areas to pull it in and create a lake where nothing ever lives and nothing ever grows. The water will become locked in an abyss and a tall barbed wire fence must contain it so no children could play there and no people could refresh themselves there. Not now, not in 21 years or 100 or 700 years or any years again. It will just be a dead hole, a black hole drawing living water from all the surrounding miles to die in its untouchable depths. Progress insists that what belongs to that mountain belongs to progress and progress has millions and billions of dollars to prove it. Progress in this instance is Canadian, is educated, speaks fast in green washed talk from lips of well paid white men in cowboy hats with graphs and permits. Progress will tell you, they are working with the forest service to insure the greenest mine possible and they will only use 5000 acre feet of water per year, chemical dust suppressants’ and don’t ‘cha like cell phone, computers, electrical wiring? It’s just land they say, a small piece of land that doesn’t matter to no one and no one will ever notice. A mile wide and a mile deep and miles and miles of tailings left to surround the mile. Where nothing will ever live and nothing will ever grow there again. Alive things live there now, life not things live there now. But it’s only a matter of time before a billion invested will offer 6 billion more to the Canadians with billions and that is progress, and no one should stand in the way of progress. 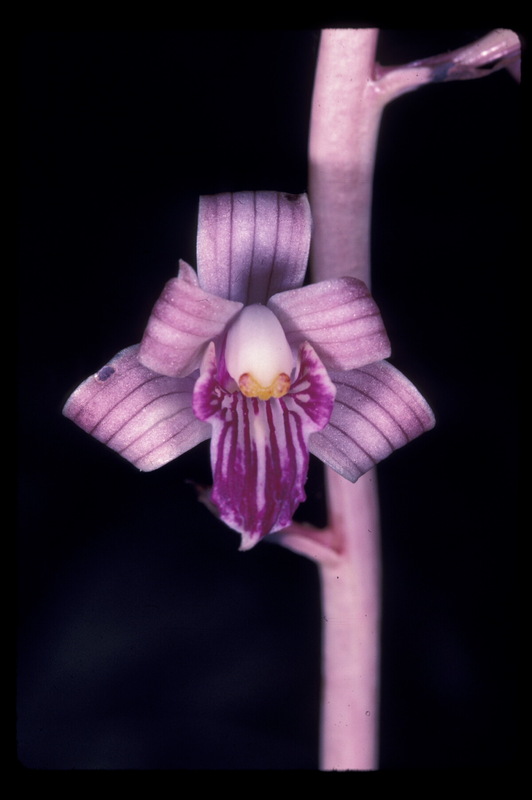 Not the orchid who only blooms once every two years and is so unique and rare that it doesn’t even photosynthesize, instead growing from a mycelium spore like a fungus. Not the ocelot, the long nose bat, the white tail deer, the lone critically endangered jaguar that stalks it prey at night in the cover of whispers. Not the ancient Hohokam holy land, remnants of 2000 year old ball courts, scenic hiking trails, wildlife corridors. No, none of this will stand in the way of progress even though this is what exists now in the place where the hole will be because it’s just land they say. It’s just land. Progress has a loud voice and because the Santa Rita mountain’s voice cannot be charted and the mountain speaks but progress doesn’t speak mountain. Progress speaks only money and money is not alive except in the minds of people concerned with progress. Money is dead and because money never lived except in the minds of those who keep needing more to feed the holes in their hearts where compassion wants to live but can’t because it is a hole of endless greed and no hope for life will ever live and no compassion for the mountain and her creatures will ever grow. An example of the proposed mine. This entry was posted in Uncategorized and tagged mining, poetry, Rosemont mine on March 28, 2014 by owleyeinform.